When you think about buying a Lake Havasu home, what's the first thing that comes to mind? Probably the down payment. You're not alone. According to a study conducted by NerdWallet, 44% of people polled stated that saving up for a down payment provides their biggest hurdle to homeownership. 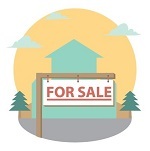 Unfortunately, many people are often told conflicting stories or are offered misconceptions about this part of the home buying process. When it comes to your down payment, Havasu home buyers need to separate fact from fiction. For years, the standard answer to this question was 20%. Yes, that's a large amount to put down. When you do so, you avoid paying private mortgage insurance (PMI). That saves you money on your mortgage payment. First-time home buyers may only need 3.5% with an FHA loan. Fannie Mae and Freddie Mac offer loans with as little as 3% down. Current and past military service members can obtain a VA loan for no money down. Even so, you might still want to put down more than required. The higher your down payment, the less you borrow. The less you borrow, the lower your monthly mortgage payment. Sometimes, putting more than 20% down is a smart move. But, if you have a substantial savings account, you may want to set some money aside for emergencies. Every situation is different. Talk to your loan officer about which option works best for you. PMI occurs when a buyer puts less than 20% of the purchase price down on the mortgage. This covers the mortgage company in case you default on the loan. For some loans, you pay PMI until your balance reaches 78% of your original purchase price. However, FHA loans charge PMI until the loan is paid in full. Again, talk to your loan officer about your options. Sure, if you can pay cash for everything, why not? You don't pay any interest that way and it's yours from the get-go. However, most buyers need to borrow money to pay for their Lake Havasu home. But don't worry if the competition for your dream home involves an all cash offer. Sellers may still consider your offer over the cash offer if it's a little higher and/or you write a fantastic offer letter explaining why you want this home in particular. Sometimes, sentiment provides more value than money. I've talked about down payment assistance programs before. The Home Plus Mortgage Program allows Arizona residents to incorporate a "secret second" into their mortgage loan. However, you must meet certain income, debt, and purchase price restrictions in order to qualify. Also, your credit score needs to be at least 640 to 660, depending on which loan you go with. And remember, you cannot take out a loan to use for your down payment. Gifts are acceptable. But loans are not. And, with a gift, you must have written proof that the amount you've been given is, in fact, a gift that the giver has no expectation of being paid back for. There are so many things Lake Havasu home buyers hear about down payment requirements. Some things are true while others are not. Are you a current homeowner? What were you told about down payments when you bought your home that turned out to be false? Please share your story in the comments below. And, if anyone has any questions, please feel free to contact me. I'd be happy to clear up any misconceptions you may have heard from well-meaning family, friends, and neighbors.